Powhatan is a thriving village located about 30 miles west of Richmond that offers many benefits including safe neighborhoods and a diverse economy. These benefits offer Powhatan home buyers who wish to relocate to the greater Richmond area a fantastic value that is hard to match in the Virginia real estate market. A group of French Huguenots established a new community located south of this settlement near the mouth of the James River. They built many beautiful Medieval and salt-box style homes during the early 1700s that are still extant near what is now Powhatan's Huguenot Trail. The demand for real estate increased in 1850 when the Virginia Legislature annexed a portion of Chesterfield County to create what is now known as Powhatan County. This demand spurred the construction of many fine Powhatan homes and farms that are located within a 60-mile radius of the Hugenot Trail. Powhatan experienced several growth spurts after the Civil War. Many of these growth spurts occurred after Richmond-area farmers discovered how to use Powhatan's prime location near the James River and the Kanawha Canal to transport goods to consumers. Other growth spurts have occured after community leaders used strategic marketing of Powhatan's beautiful surroundings and amenities to the tourism trade. 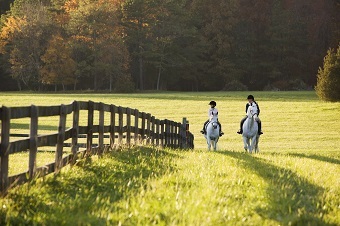 Powhatan is home to several recreational facilities that include boat ramps, the Cozy Acres Family Campground and Fighting Creek Park, and Oakdale Farm Equestrian Center. Moreover, the Powhatan County Parks & Recreation Department maintains 29 parks that are located near many high-quality single-family Powhatan VA homes. Many of these parks offer amenities including basketball courts, ballparks, picnic areas and playgrounds that are suitable for family and group outings. Many recreational sports programs and leisure classes are offered including arts and crafts, drama, fitness and travel. Call the office at 804-598-1304 for more details. Attractions near Powhatan include The Mill at Fine Creek, the Performing Arts Foundation of Powhatan, the Independence Golf Club and the Derwent House. Powhatan is also home to many fun events that are open to the public. Some of these events include the Pohatan County Fair, the Festival of the Grape and the Holly Days Bazaar. Home buyers can learn information about other Powhatan events by visiting the Powhatan County government's event website. 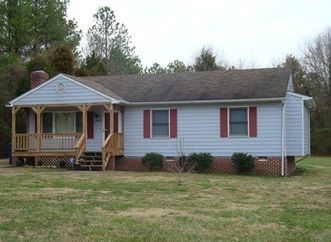 If you are looking for a home in charming Powhatan, call Philip Hoffman before you start, 804-794-2662. He is an experienced pro who knows the Richmond market, and can find the best deals to put you in your dream home!